This week, we talk to our good friend Birgir Kruse about the thrills and challenges of putting together a world atlas in Faroese, It's all about language and identity and far more complicated than I would have imagined before putting this show together. 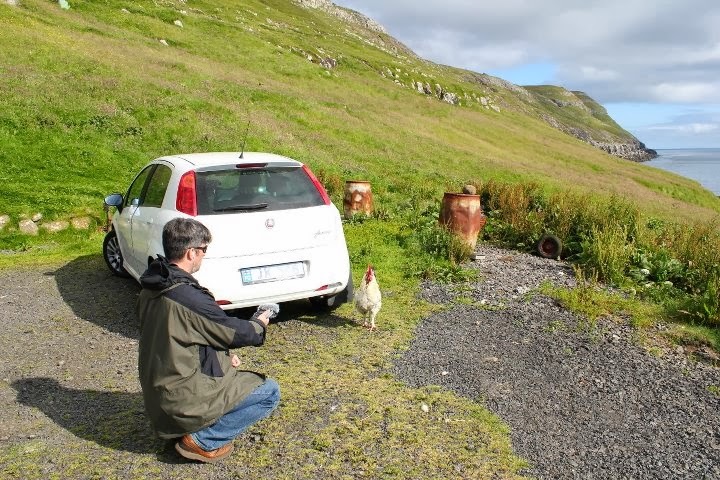 Then we visit a tiny village on Sandoy (pictured above) and try to interview a rooster. As always, you can listen on iTunes, on the media player at the top of the blog, or on Stitcher Smart Radio. We've still got some open spots on our tour to the Faroes this summer. Learn the details and reserve your spot by going to the Nordic Obsession website.